This page contains product documentation and manuals for selected products. Tectia SSH is a hardened SSH server for business-critical enterprise use. It supports all enterprise platforms - Windows, Linux, Unix, mainframe and comes with 24x7 support. More than half of the world's top 30 banks use it on a large scale internally, and 3000 other customers. It also supports X.509 PKI for authenticating servers and users, uses FIPS 140-2 certified cryptography, and supports PIV cards, CAC cards, and the DoD PKI. The Tectia SSH Server for z/OS is the premium SSH server for IBM mainframes. It is used by many of the largest insurance companies, banks, and retailers in the US to protect file transfers and access into their servers. It also supports SSH key management with the Universal SSH Key Manager. Tectia SSH client is enterprise SSH client with integrated file transfers, X.509 PKI, and smartcard authentication. It comes with 24x7 support for business-critical applications. CryptoAuditor is a solution for monitoring and controlling encrypted sessions, such as SSH, Remote Desktop, and HTTPS. It can also prevent SSH tunneling and enable data loss prevention for encrypted connections. It is perfect for recording, monitoring, and auditing incoming connections by consultants, vendors, and outsourcing partners. Its full documentation will be made available here shortly. Universal SSH Key Manager is the best solution for SSH key management. Its documentation will be made available here shortly. PrivX - PrivX manuals and online knowledge base. 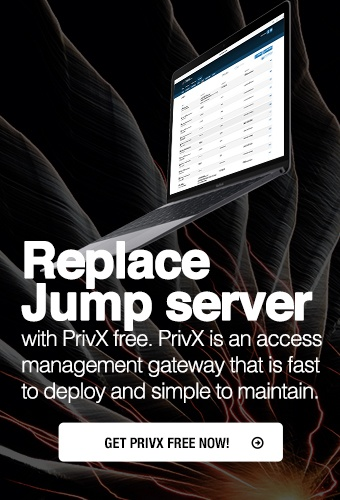 PrivX documentation, manuals, downloads and help available now. Tectia manager is a legacy solution for managing SSH host keys and SSH configurations, dating back to late 1990s. The functionality is being integrated into Universal SSH Key Manager. MFT Events was a managed file transfer product for enterprises in the early/mid 2000s. SSH Certifier was an advanced certificate authority product for implementing public key infrastructures (PKI). It supported multiple certificate authorities and registration authorities, rules for choosing between them, and automated certificate enrollment and renewal protocols already in the late 1990s and early 2000s.